Gustavo Poyet described Sunderland's first-half display against Norwich City as "Technically as bad as any team I've seen at the bottom of the table." An exasperated Gustavo Poyet described Sunderland’s first-half performance against Norwich City as technically one of the worst he had seen – and admitted he is running out of ideas as to how to put it right. 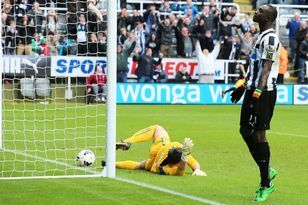 The Black Cats claimed a third 0-0 draw in five games, closing the gap to safety to four points. Yet they needed more at home to a Norwich side who arrived having conceded more goals on their travels (21) than any other top-flight team. What annoyed Poyet most was a first-half performance which saw his side continually putting weak shots from outside of the area off target. He said: “In the first half, we were awful. Technically, we were as bad as any team I’ve seen at the bottom of the table. “There were passes which scared me a lot and decision-making inside the box – shooting, taking three touches or going to the wrong side – it was shocking. “It could be nerves, it could be pressure, it could be quality, I don’t know. It could be the situation. I’m realistic – before I was here, we couldn’t win a game. Then we beat Newcastle. Then we go and beat Man City. “What was the next problem? A sending-off (Wes Brown’s at Stoke). Then mistakes by the referee and then own goals. On Saturday, what was the excuse? What made Sunderland’s performance all the more annoying was they had knocked Chelsea out of the League Cup on Tuesday. Days earlier they put in what Poyet thought was the club’s best performance under him at West Ham United, albeit without the cutting edge whch has eluded them so often this season. Poyet added: “It’s not nice and you don’t enjoy it when everything is set for you to have a good game and a nice weekend, but it didn’t happen. “Every time we do something nice, the next game is worse. I know people say after five or six games maybe the table doesn’t show what a team is all about – you can have bad luck or something – but now we’re nearly halfway through. Everything was set for us to win. There were no excuses and confidence was high. The style has been good, so has our defensive work, we’ve been keeping clean sheets, we just needed to be ourselves. “The only thing which made me happy was we didn’t lose. “At the end of the game, we had more chances, even though we were supposed to be tired after playing in midweek. “We were missing from two yards. “It gave us a clear picture of why we are bottom. “The previous weekend against West Ham, I didn’t see a team which looked like it’s bottom. Then we beat Chelsea in the cup. “Was it a bad day at the office? Can we afford a bad day at the office? The answer is no we can’t. “The team was the same against West Ham and practically the same team whch finished against Chelsea, but we couldn’t put three passes together. As soon as we did that we had half a chance. “We missed chances to score as well. I’m talking about chances inside the box, when there’s been a chance to control and the ball has ended up rolling along the beautiful grass. When asked what needed to be done to coax more goals from his side – they have scored 12 in 17 league games – all he could come up with was a shrug of the shoulders and a flippant remark. “We need to get (Liverpool’s) Suarez,” Poyet (pictured below) replied. The Uruguayan was clearly hurting after the game, but he added: “I am a machine. I will come in on Monday and start talking about Everton (Sunderland’s Boxing Day hosts). “I’ll concentrate on picking the right team and making sure the players know how we can play against them. “We are so lucky to have another game in three or four days. Meanwhile, ex-Liverpool and Chelsea midfielder Raul Meireles has reportedly told Fenerbahce’s television station he has received an offer from Sunderland to leave next month, although he wants to stay in Turkey.